If your home needs repairs and improvements, things can add up very quickly. However, instead of hiring a professional, there are certain repairs that you can handle on your own. Save yourself some time, money, and stress by tackling these simple repairs by yourself. While this isn’t the most exciting task, unclogging a toilet is actually very easy. First, determine the cause of the clog. If the blockage is caused by a foreign object (such as a small toy your toddler flushed), then you can don a pair of gloves and fish it out. If the clog is a little more serious, using a plunger and plumbing snake is normally enough to remove the blockage from the pipe. Whether it’s your front door or your cabinet doors, dealing with a sticky, squeaky door can be a real annoyance. Luckily, addressing this issue requires minimal effort. Usually, applying a small amount of lubricant on the door’s hinges is enough to take care of the problem. Pro tip! While oils such as WD-40 work well, applying a little bit of petroleum jelly is cleaner, easier, and just as effective. Caulk is the rubbery material around your sinks, bathtubs, showers, and toilets. Caulk works by preventing water from seeping into surfaces and causing damage. However, continuous exposure to moisture can cause it to become dingy, discolored, and even moldy. 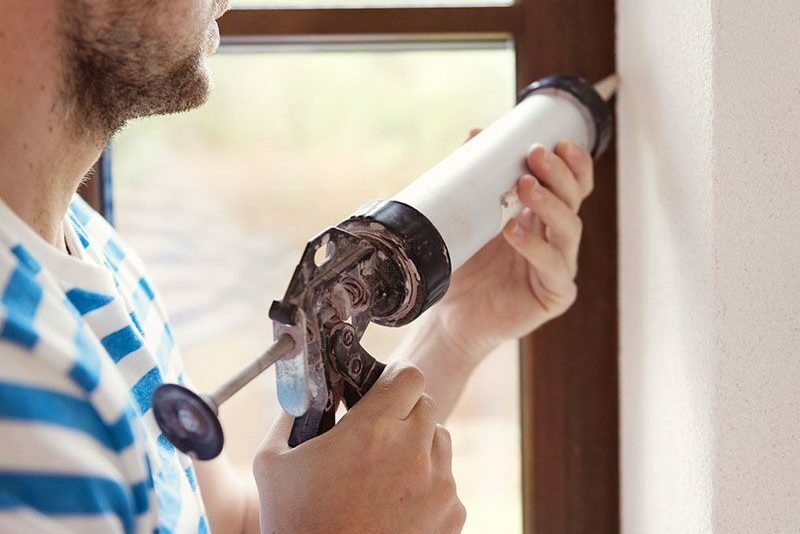 Replacing your caulking is pretty easy. The hardest part is removing the old caulking. However, once you complete this, you can purchase caulk or caulk strips from your local hardware store. Simply apply according to the manufacturer’s directions for the best results. Try your hand at these simple home repairs. Want another way to care for your home? Make sure you have the right home insurance coverage to address your needs. To find the best policies, turn to the experts at The Schwab Agency in Colleyville, Texas. Our dedicated team is ready to assist you with all your insurance needs. Contact us to get started today.